We Are Scientists, the Brooklyn-based rock group is currently touring around the world, in support of their fifth studio album, Helter Seltzer. Their sound is unique yet familiar, as they have combined rock ‘n’ roll, with elements of the pop music. Helter Seltzer embodies this combination and presents it in a set of lively songs that many listeners may enjoy dancing to into the night. The duo is comprised of Keith Murray on guitar and lead vocals, and Chris Cain on bass guitar and backup vocals. The voices are harmonious sounding like they were born to sing together. 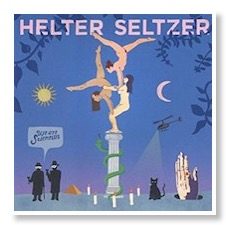 Accompanying the two on Helter Seltzer, is Max Hart. Max recently finished a three-year stint playing keyboard with Katy Perry, preforming with her at her iconic 2015 Super Bowl show. Hart brings the pop element to Helter Seltzer, such as on the song, “Too Late,” which combines Keith and Chris’s vocals with strong guitar and synthesizer music. The song is exciting and upbeat, and comparable to many of the chart-topping hits of 2016. The track “We Need a Word” is driven by its percussions, and again, the lead and supporting vocals. It is a diverse song throughout, as it starts calmly and builds to a very strong and lively tune. We are Scientists also interjects a slower, but just as entertaining, song: “Want for Nothing.” Keith’s vocals are very beautiful throughout the song, and backing it are stimulating instrumentals. The song is a bit different than We Are Scientists’ typical music, and still fits well with the rest of the album. Overall the record is upbeat and energetic album. It also seems it is one of, if not the best, of We Are Scientists to date. 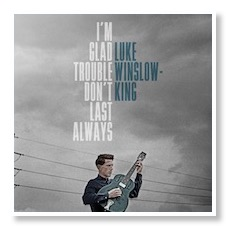 Straight from the streets of New Orleans, Luke Winslow-King’s fifth full-length album I’m Glad Trouble Don’t Last Always combines the best of blues, jazz, country and folk with its melancholy-yet-hopeful vocals and soulful rhythms. “Heartsick Blues” is reminiscent of Hank Williams (even including the line “I’m so lonesome I could cry”) and sure to please country fans with its mixture of guitar, bass and even a fiddle thrown in. The closeout track, “No More Crying Today,” has it all - guitar, banjo, drum, and saxophone, ending the album on a determined, cautiously optimistic note of moving forward and meeting hardship head on. Winslow-King’s delightful mixture of different down-home styles combined with steady, calming yet resonating vocals are a true listening pleasure, and break much of the stereotypes surrounding Southern music and musicians: ours is a region of a multitude of sounds, people and experiences that come to life through Winslow-King’s music.